DontCrack Exclusive – Audified STA Effects at 50% OFF ! Audified and DC have teamed up to give you a STA Effects exclusive $59 promo starting today. That’s a huge saving of more than 50% off the $129 list price. The promo is running until the end of October. The precise simulation of several valve circuits gives the STA effects their unique analog feel and warmth. STA Effects includes six valve simulating effects featuring the emulation of the Summing Tube Amplifier technology. The bundle contains the STA Chorus that gives your instruments a warmth and gentle vibe! STA Flanger delivers extra punch, meat, juice… call it what you want. If your sound is not spacey enough, take it to another universe with the STA Phaser! The STA Enhancer will make your mixes beautifully bright. 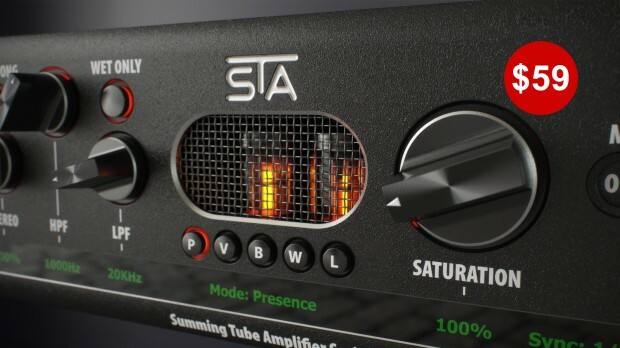 But the main effect that gives the STAs their character is the STA Preamp (also sold separately). The new second generation of the plug-in bundle has been enriched with the STA Delay being added. This entry was posted in DontCrack, Plug-ins, Promotions and tagged analog feel, analog warmth, Audified, Audified STA Effects, DontCrack Exclusive, STA Chorus, STA delay, STA effects, STA enhancer, STA Flanger, STA Phaser, STA preamp, valve circuit emulation. Bookmark the permalink.